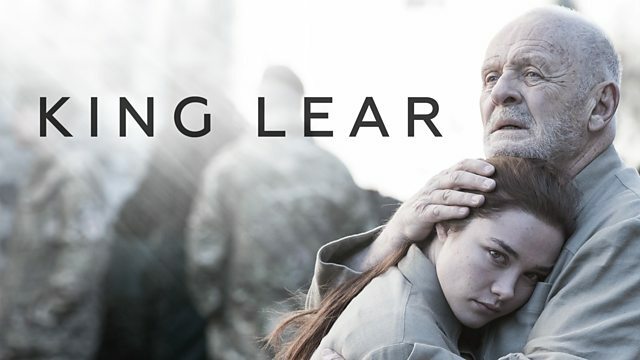 On Monday 28 May at 21:30 (UK time) BBC 2 will broadcast their King Lear starring Anthony Hopkins, Emma Thompson and others. Details here. As the play had to be cut down to a little under two hours, the BBC version is expected to adapt the text considerably. The ageing Lear looks back nostalgically to a housekeeper he wanted to, but did not marry. In the consequent emotional turbulence he resolves to eat one of his daughters and a fool, and drink the blood of one of his sons-in-law. However, he cannot decide whom he should dine on first, and though it is clear that he should drink Burgundy, the culinary dilemma unhinges him. Plagiarism software more commonly used to check student essays for overly assiduous borrowings has uncovered a long-forgotten, handwritten document from 1576 as the possible source for more than 20 monologues and passages from Shakespeare’s plays. Shakespeare’s The Merchant of Venice is often regarded as the most controversial play The Bard has ever written. This is not peculiar: the tale of Italian merchant Antonio who signs a contract with the Jewish Shylock is riddled with antisemitic motives and questions the morality of the law. The Groningen University Theatre Society (GUTS) brings The Merchant of Venice to the Groningen stage in an authentic and completely English rendition. 16-18 February, Vrijdag Theatre. Click here for details. Note that this play is on the syllabus of the year 2 course Shakespeare & Early Modern Literature. In deze muzikale Shakespeare delen vijf topacteurs van Orkater het podium met vijf koperblazers van K.O.Brass!, bekend van Kyteman Orchestra. ‘Julius Caesar’ is een tragedie die zich afspeelt in het Romeinse rijk [note: I think that ‘rijk’ isn’t really accurate], waar het politieke spel op het scherp van de snede wordt gespeeld. Wanneer de Romeinse heerser de absolute macht in handen dreigt te krijgen, wordt Brutus op de proef gesteld. Wat weegt zwaarder: zijn vriendschap met Caesar of het voortbestaan van de democratie? Regisseur Michiel de Regt laat muziek, taal en beeld samensmelten in een voorstelling die haarfijn blootlegt hoe kleine mensen in staat zijn tot daden met grote gevolgen.